PARTNER NEWS: NXP has launched a new NFC frontend for contactless payment readers that simplifies the work needed to gain certification and delivers four times more output power than its previous model. “Being pre-certified for contactless EMVCo L1 and NFC Forum, PN5180 is ideal for designs that target payment applications. Additionally, the TFBGA package with added security features simplifies PCI terminal certification,” the chip maker adds. 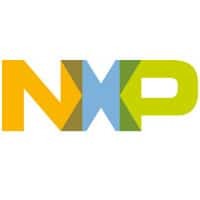 With the flagship solution, PN5180, NXP Semiconductors N.V. (NASDAQ:NXPI), co-inventor of Near Field Communication (NFC), today announced the beginning of a new era in the evolution of NFC to bring intuitive proximity technology everywhere. PN5180 is an advanced, multi-protocol (ISO/IEC 15693, Felica™, MIFARE® and ISO/IEC 14443A/B) NFC frontend that delivers more efficient, robust, and reliable operation, even in harsh environments. Building on the success of the PN512, PN5180 delivers four times more output power and is designed to enable state-of-the-art readers for contactless payment without the need of an additional booster. Dynamic Power Control (DPC, patent pending): DPC increases communication stability and reliability. It enables up to 30 percent increase of the effective transmitter current at the same maximum specification. It maximizes RF system performance, optimizes effective power output, and minimizes overall energy consumption by automatically compensating for detuning effects generated by nearby smartcards, NFC-enabled smart phones or metal objects. While enabling communication at long distance, the automated calibration avoids a possible damage in cards and phones caused by overpowering in zero distance. Simple Certification: The combined features of DPC, strong RF power and hardware-based EMD error handling eases certification. Being pre-certified for contactless EMVCo L1 and NFC Forum, PN5180 is ideal for designs that target payment applications. Additionally, the TFBGA package with added security features simplifies PCI terminal certification. Ease Design Process: The PN5180 is supported by advanced design-in software tools. The PC-based “NFC Cockpit” software environment is an intuitive graphical user interface that supports software-independent tuning of the antenna’s register settings, so hardware designers can optimize antenna parameters while software designers work on integration of the embedded system in parallel. PN5180 also comes with a completely overhauled NFC Reader Library which is easily portable to various controller cores. The library is pre-certified for EMVCo L1 and NFC Forum and complies with all applicable ISO/IEC standards. For more information about NXP’s NFC solutions visit, www.nxp.com.